May 10, 2012 by Ken Ward Jr.
There’s some pretty interesting stuff buried in the latest U.S. Securities and Exchange Commission disclosure filed today by Alpha Natural Resources. The Company had reached agreements in principle to settle with all twenty-nine families of the deceased miners as well as the two employees who were seriously injured. However, families of two of the deceased miners have recently withdrawn their prior agreements to settle, and settlement negotiations in those cases are ongoing. On April 5, 2012, one of the families of the deceased miners filed a class action suit in Boone County Circuit Court, purportedly on behalf of the families that settled their claims prior to the mediation, alleging fraudulent inducement into a contract, naming as defendants Massey, the Company and certain of its subsidiaries,the Company’s CEO and the Company’s Board of Directors. Now remember, the word back in January was that Alpha had managed to reach settlements with the families of all 29 miners who died in the April 5, 2010, explosion at Upper Big Branch. This new SEC filing suggests that at least two of those families are continuing to pursue their lawsuits. 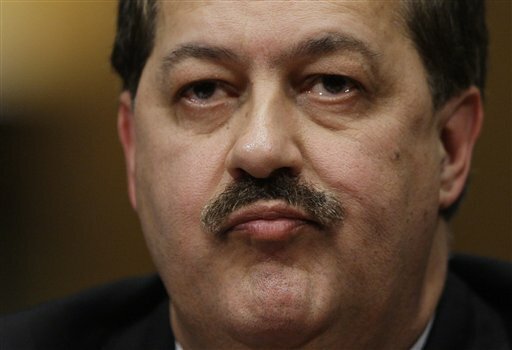 And also remember that back in April, several members of the family of miner Edward Dean Jones sued former Massey CEO Don Blankenship and other corporate official. … Thirty-nine employees had filed lawsuits against Massey and certain of its subsidiaries in Boone County Circuit Court and Wyoming County Circuit Court alleging emotional distress or personal injuries due to their proximity to the explosion. On April 19, 2012, the Company filed a motion to transfer the Wyoming County lawsuits to Boone County. UPDATED: We posted a new story on this here.